Looking for a fun and productive weekend activity? With November just beginning, and the cold weather setting in, people are starting to think about Christmas shopping and getting frantic about the holidays. Since the holidays are quickly approaching, what better way to kick off your shopping by heading to the Spirit of Christmas fair happening this very weekend. The fair started 30th October and goes until 4th November. Whether you are looking for some gift inspiration or Christmas present ideas, or even just want a fun day out with friends, the fair offers an abundance of options to tickle your fancy. Throughout the day numerous workshops are held. You can learn anything from decorating cupcakes to gift wrapping. Food and drink will also be served at the fair. You can have a delicious bite from Mosimann’s Winter Restaurant or sit down for a glass of champagne at Louis Roederer’s Champagne Bar. Hundreds of companies will have their gifts displayed, and will include fashion, interior accessories, and gifts for men, children, and babies. The fair includes a unique array of gifts that you can not ordinarily find on the high street. Be sure to check out one of our favourite gifts at the fair…Possmere. Possmere is a luxury brand of knitwear for men, women, children, accessories, and interiors. All their products are made from 40% Possum fur, 50% New Zealand Merino wool, and 10% Nylon. Possmere products are so incredibly soft, light, and comfortable. It even provides more insulation than cashmere. These products are truly one of a kind. Who wouldn’t want to bundle up with one of Possmere’s products this winter? We sure do! You can find them at stand F86. Really Wild Clothing was another favourite. Their stand located at G31, offers an array of country clothing for men and women. The brand originated by designer and founder, Natalie Lake, who wanted to create stylish shooting clothes for women. This was a success considering her whole line is cute but casual. They have a versatile collection of tweed wear as well that offers a trendy, but comfortable look for the city or country. Really Wild Clothing is offering great deals at the Spirit of Christmas fair that you won’t want to miss. Looking for some great skincare products to give as gifts? Rhodes to Heaven has an array of natural skincare products that appeal to all skin types. For Christmas, Rhodes to Heaven has put together a kit of their most loved All in One products. Each one is packed with all natural ingredients which are great for the skin and help give a radiating and natural look. Packaged in their signature Little Black Bag, these beauty products are a must have for this Christmas season. Be sure to stop by their stand at G81. 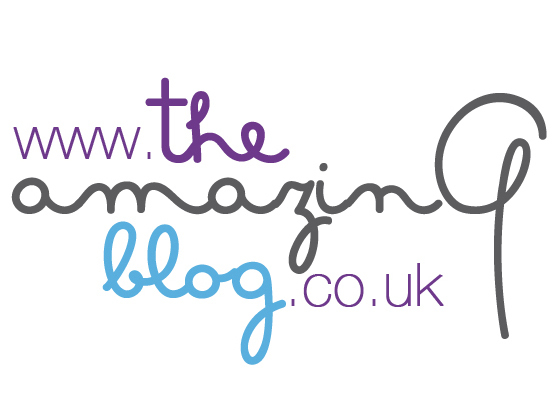 We at The Amazing Blog love this fair and know you will too! The Spirit of Christmas Fair is located at the Grand Hall, Olympia Exhibition Centre, Kensington, London. See their website here for details regarding times and ticket prices. We hope you enjoy the fair and even get some inspiration or make some purchases for this holiday season. If unfortunately you can't make it to The Spirit of Christmas Fair, do visit Spirit Boutique - a natural extension of the Fair which changed the concept of Christmas shopping when it launched at London's Olympia in 2001.